To glorify God by partnering with indigenous key leaders to establish biblical churches that are self‐sustaining and reproducing among all people groups. We want to see all people groups worshiping God. Our strategy is to develop a ministry that is dependent on the authority and sufficiency of Scripture; not dependent on man or money. I heard someone say the other day (to paraphrase) "What if you lived on an island with nothing but the Word of God. No outside influences, no other books, nothing but being able to read over and over through the Bible. Would we come to the conclusion that how we do "church" today is how the Lord intended it to be when He left this earth? Probably not even close. Most of us have been fed from someone else what we know today and it may or may not be biblical." We need to get back to the basics, back to the sufficiency of Scripture and most important, back to allowing the Holy Spirit to guide and direct us. 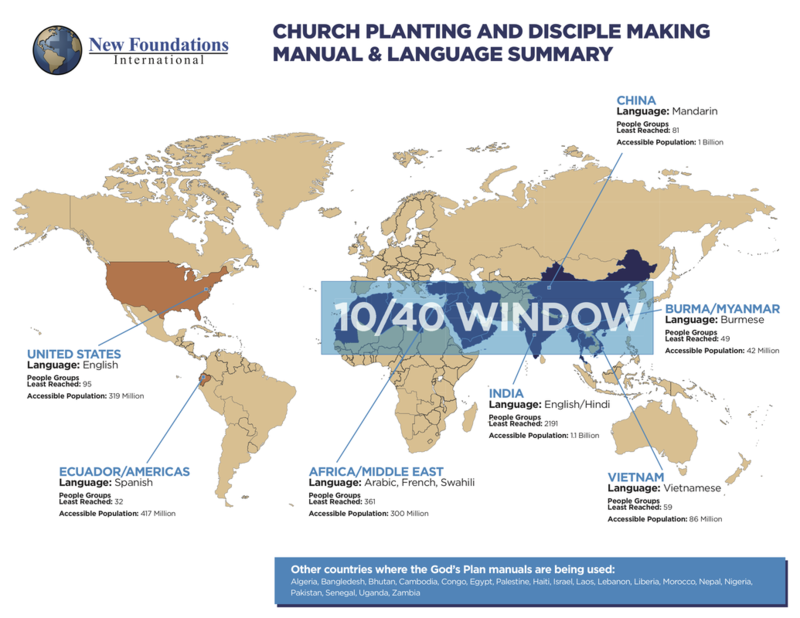 I am constantly intrigued and challenged whenever I look at the logic and strategy of the young missionary church in the book of Acts, as I sought to “make disciples of all nations” (Matthew 28:19). Considering that the early church did not enjoy the numerical strength we have, or the technological advances we take for granted, one cannot but wonder how this small band of disciples made such a tremendous impact on their world. What was their secret? What can we learn from their strategy? If you feel led to donate, you may do so using PayPal services or if you would like to send a check, you may send it to the address at the bottom. We want you to know that 100% of your gifts go towards the ministry. Our overhead is extremely low and where you specify the funds to go, that is where they will be used! If you decide to use PayPal, there is a small transaction fee that is charged. There are no fees for checks that are mailed. We are a 501(c)(3) organization and therefore, all donations are tax deductible.